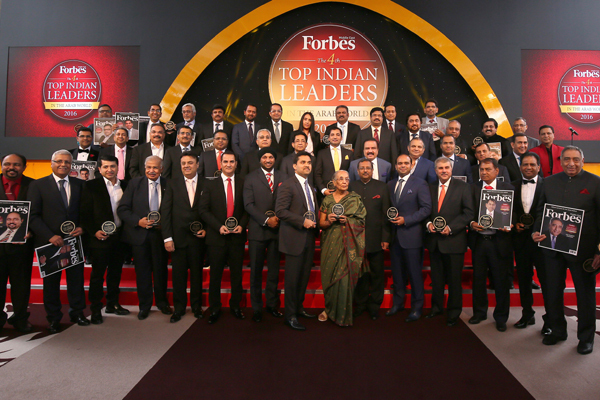 Forbes Middle East has unveiled its 2016 rankings of the Top 100 Indian Entrepreneurs in the Arab World and the Top 50 Indians in Executive Management in both multinationals and Arab companies. Sunil Vaswani, group chairman of the Stallion Group, tops the list of entrepreneurs, while Yusuf Ali M A, managing director of Lulu Group International, is listed second and Mukesh Jagtiani, chairman of Landmark Group, is third on the list. Some of the leaders inherited family businesses that have been operating in the region for decades, with 10 running businesses that are over 50 years old. Over 90 per cent of the entrepreneurs have their base in the UAE, with their operations spread across the entire region. These tycoons have businesses spanning 24 different industries. Forbes Middle East held an exclusive award ceremony last night (May 3) to celebrate these Indian trailblazers. The fourth Top Indian Leaders in the Arab World 2016 event was held in Dubai and attended by around 300 prominent individuals. T P Seetharam, Ambassador of India to the UAE, graced the occasion as guest of honor. All of the entrepreneurs have their base in the UAE. • Tariq Chauhan, group CEO at EFS Facilities Services Group (based in UAE). The list of 100 entrepreneurs was shortlisted from a list of 250 and the research was based data collected from primary resources and a questionnaire filled by them, said a statement.